Pull handle back to remove cap. Use suitable tool to unsnap. 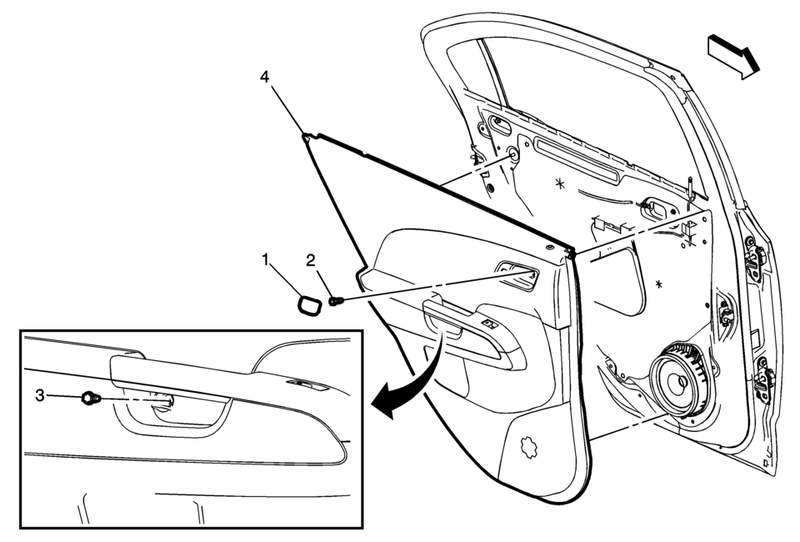 Use a small flat-bladed tool to open the rear side door trim integral cap to access the fastener. Use the appropriate plastic trim tool to aid in the removal of the door trim.